The report also attributed the accident to a faulty mining method. On March 8, 45-year-old John M. Garloch of Neffs, Ohio, died after a piece of coal and rock fell from an exposed area where a longwall machine was extracting coal. Three other workers were injured. The accident occurred at the Marshall County Mine. Murray Energy told the Charleston Gazette-Mail that it's reviewing the report. The company says safety is its highest priority. Murray Energy Corp.'s Monongalia County Coal Company has announced its Monongalia County Mine will resume underground mining operations. The Dominion Post reports the company made the announcement Friday. The mine, which was formerly Blacksville No. 2, will begin operating on a partial production basis on Monday. A Murray Energy subsidiary says it has temporarily idled an underground coal mine in Ohio County because of high water levels on the Ohio River. WTRF-TV reports that Ohio County Coal Company, LLC announced the move on Tuesday. 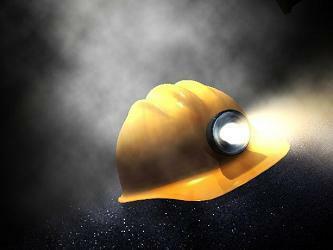 A portion of Murray Energy Corp.'s Monongalia County Mine has been temporarily idled. The company attributes the move to shipment shortfalls by railroads serving the mine. Federal regulators issued more than a dozen citations to a West Virginia coal mine in the week prior to an accident that killed one worker and injured two others. According to the U.S. Mine Safety and Health Administration’s website, Murray Energy was cited several times for roof plans and protection from roof, face and rib falls. Murray Energy's owns McElroy Mine in Marshall County near Cameron where one miner died and three others were reported injured on Sunday. West Virginia Office of Miner’s Health Health Safety and Training spokesperson Leslie Smithson says 45-year-old Assistant Longwall Coordinator John M. Garloch of Neffs, Ohio was killed. Initial reports indicate the cause of Sunday night's accident was a roof and rib fall. Listen to hear part of Senate Minority Leader Jeff Kessler address the entire Senate on Monday. Federal investigators say the operator of a Marshall County coal mine where a worker was killed didn't ensure that safe work procedures and policies were in place. The U.S. Mine Safety and Health Administration cited McElroy Coal Co. for the accident that killed 62-year-old Roger R. King in October 2013.